ANCHORAGE, Alaska -- A woman has been indicted on murder charges in the deaths of her two baby daughters two years apart. 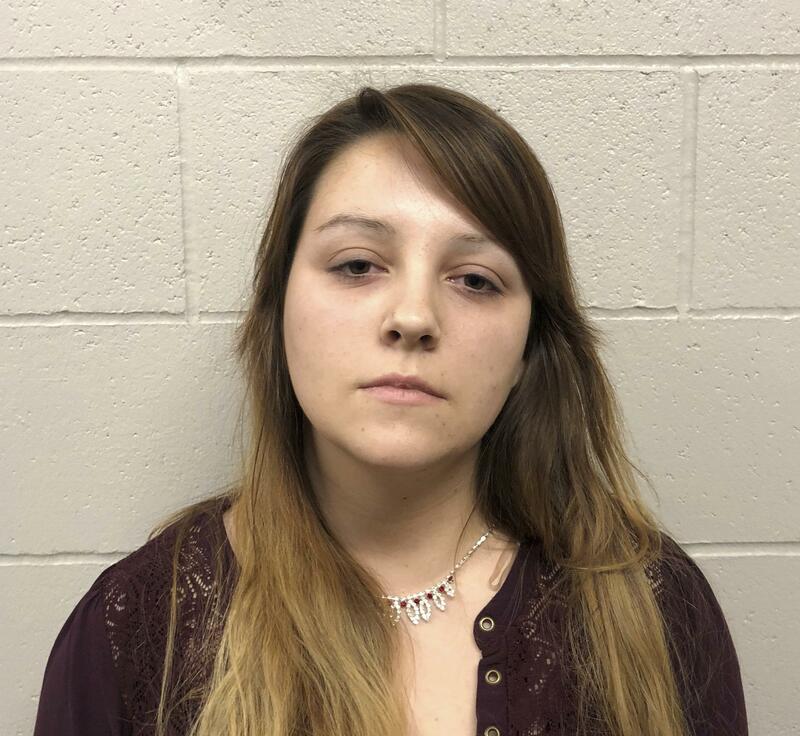 A Fairbanks grand jury Wednesday indicted Stephany Lafountain, 23, in the death of a 4-month-old girl in 2015 and a 13-month-old girl in November 2017. Both girls' deaths exhibited signs of being suffocated, police said. The girls were referred to by their initials and their names were not released. At a news conference, Fairbanks Police Chief Eric Jewkes called the cases an "unimaginable tragedy," but did not discuss a possible motive. Fairbanks police arrested Lafountain on Thursday afternoon. She was jailed at Fairbanks Correctional Center. Online court records do not list Lafountain's attorney. She was arraigned Friday via closed circuit TV from Fairbanks Correctional Center, the Fairbanks News-Miner reports. Her bail was set at $2 million. Lafountain last year was married to a soldier and living on Fort Wainwright Army Post. The Fairbanks Police Department investigated the Nov. 20 death because the mother and the child were civilians, authorities said. Online court records indicate was divorced in February. She said in court Friday she had legally changed back to her maiden name of Bilecki, the Fairbanks News-Miner reports. According to police, Lafountain called emergency responders just before 6:30 p.m. to say her child was not breathing. The child was taken to Fairbanks Memorial Hospital and later transferred to Providence Medical Center in Anchorage, where she died four days later. As part of their investigation, police reopened an inquiry into the death of Lafountain's infant in 2015 when she was in a previous relationship. At the time, police said, the death was not considered a homicide. Fairbanks police spokeswoman Yumi McCulloch said that although the 2015 death wasn't initially investigated as a homicide, the circumstances of both deaths made them suspicious, CBS Anchorage affiliate KTVA reports. "It was the similarities between the two, realizing that there was an infant death that she was also involved with," McCulloch wrote. Lafountain, then named Stephany Bilecki, and living in a Fairbanks apartment, called police just after 5 p.m. on Sept. 15, 2015, and said her 4-month-old child was not breathing. The child was later pronounced dead at Fairbanks Memorial Hospital. Autopsies and medical records indicated both girls were healthy and suffered no genetic abnormalities, diseases or injuries. The first girl's death was officially undetermined but showed characteristics of suffocation. The second girl died of complications of anoxia, or lack of oxygen to the brain. Lafountain is charged with counts each of first- and second-degree murder in both deaths.